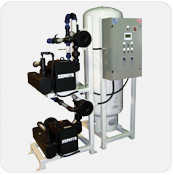 Aircom Technologies of Montreal, is an authorized distributor & service center covering eastern Ontario, Quebec and Atlantic Canada (New Brunswick, Prince Edward Island, and Nova Scotia) for Elmo Rietschle rotary vane, claw, liquid ring and screw vacuum pumps. 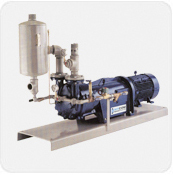 If you are looking to acquire a vacuum pump for a specific application, you may have a broad range of requirements. You might want a dry-running pump rather than an oil lubricated one to replace an existing vacuum pump. Maybe your decisive argument might be energy efficiency or a low sound level or it also might be that it need to leave a smaller footprint or a reduction of cost of its life cycle? 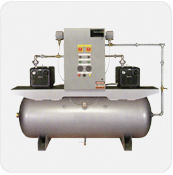 Whatever your criteria might be, we have an exceptional choice to satisfy all your needs for pressure or vacuum pumps. To obtain more information do not hesitate to contact one of our technical representative by dialing 514-695-4740 ● 1-888-940-4740, by email at sales@aircom.ca or by filling out our request form by clicking the “Information / Quotation Request” button found at the top of the page, it will be our pleasure to answer any of your questions.